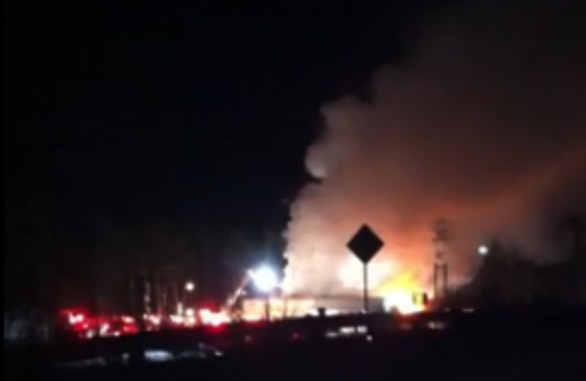 Two firefighters were injured battling a spectacular fire in Coldbrook NS, just outside of Kentville overnight. The Pine View Inn is a familiar sight to many travelers from Halifax, formally known as the Wandlyn Inn right next to highway 101 as you pass through the area. Crews had to tear down parts of the building to battle the blaze which saw multiple local departments respond. The motel had just underwent significant renovations with the addition of two restaurants after changing names in 2010. Two videos submitted to us by Haligonia viewer Rob Morrison below. #Dartmouth Man Is Home Safe And Sound!